Review of David P Barash, Buddhist Biology: Ancient Eastern Wisdom Meets Modern Western Science (Oxford University Press, New York, 2014). By Ratnaprabha. Through the nineteenth century, Western science gradually disengaged itself from Christian religion, and scientists set themselves up as rivals to churchmen in interpreting the world. Nevertheless, religion remains a force in our culture, and some scientists detect a spiritual vacuum in their own hearts, turning back in hope towards religious traditions, at least for their own personal solace. Yet to answer one set of needs through a religious allegiance, and a separate set of needs through the discipline of science leaves a frustrating split, despite Stephen Jay Gould’s recommendation that the two should be confined to “non-overlapping magisteria”. David Barash joins the club of those scientists wanting science and religion to be at least on speaking terms with each other, better still to marry. His arranged bride for science is Buddhism. Barash is a psychology professor at the University of Washington who has been active in the field of peace studies, but by training he is an evolutionary biologist, and it is biology in particular that he wishes to give a Buddhist flavour. He is an avuncular and jaunty writer, and this being his 33rd book, you can see that his publishers give him some leeway. He admits that they wanted him to discard altogether a chapter that tries to add existentialism to the mix, and they’ve left him to his own devices to the extent that the Buddhist sections are riddled with, mainly minor, errors of fact and spelling. As for science, he discusses genetics, ecology and neuroscience as well as evolution, and he is on pretty firm ground here, though some mistakes do creep in – including the howler that Newton discovered the second law of thermodynamics (page 58). An enthusiastic Buddhist for most of his life, Barash’s chief inspiration is the Vietnamese Zen teacher Thich Nhat Hanh. Thus, along with impermanence and non-self, the main Buddhist concept he wishes to apply to his biology is interconnectedness, all things linked in a dance of mutual dependence, a teaching that Thich Nhat Hanh adapts for modern audiences from Chinese Hua Yen Buddhism. Ecology, too, demonstrates that organisms and their environments constitute a net of mutual dependence. Buddhist teachings argue that anything which depends for its state on external factors must change when those conditioning factors change (anitya), and if no part of that thing is immune from dependencies, then to identify any essential protected nucleus of self must be mistaken (anatman). In biology, impermanence is the rule, and evolution superimposes long-term inter-generational changes on the short-term developments undergone by every organism, so that only the genes themselves are (according to Barash) comparatively stable. My impression here is that Barash’s popular writing has not yet caught up with advances in genetics that he must surely be aware of. The gene as an almost fixed sequence of bases in DNA that codes for some detectable feature of an organism is only one component of inheritance. Genes interact in complex ways determined partly by environmental influences, events can switch genes on and off according to circumstances, and survival-enhancing features innovated by a parent can pass to its descendants without changes to the genetic sequence. As I was reading the book, there was news of research showing that mice taught to become frightened when they smelt cherry blossom could pass that fear to offspring they had no contact with: the genetic basis of the offsprings’ smell receptors had changed as a result of their parents’ experience. A process like this is termed epigenetic, and epigenetics increasingly seems to be a significant factor in evolution. Barash is happy to modify traditional Buddhist teachings, if the results serve the needs of his audience: modern Westerners who have confidence in the findings of science. Thus he would ditch many of the practices of Eastern Buddhists (he rather condescendingly views them as naive and superstitious), and many of the teachings of what he calls “originalist” Buddhism. Someone has drawn his attention to David McMahan’s The Making of Buddhist Modernism, and since it is effectiveness and accuracy that motivate him, he is more than happy to confess that his grasp of Buddhism has come largely from the interpretations and revisions of westernised Buddhists. In fact he goes further, seeking to delineate what almost amounts to his own new religion, which he calls Existential Bio-Buddhism. I think that this is fine, and it is very gratifying to see a popular scientist sharing an enthusiasm for Buddhism with his readers. Those whose interest is piqued can track down teachers and writers with a stronger basis in Buddhist traditions, and a deeper experience of practising them. But it is disappointing that he lacks the curiosity to further explore the aspects of Buddhism he is tempted to dismiss. (The “arrant nonsense” (page 11) of rebirth, for example, he explains as a “silliness about [transmigration of] souls” (page 138), and concludes that Buddhism must be “muddled” to teach both rebirth and anatman.) One day, through a more daring dialogue than Barash risks, the interpenetration of Buddhism and biology is going to yield exciting fruit. How is his biology informed by Buddhism? 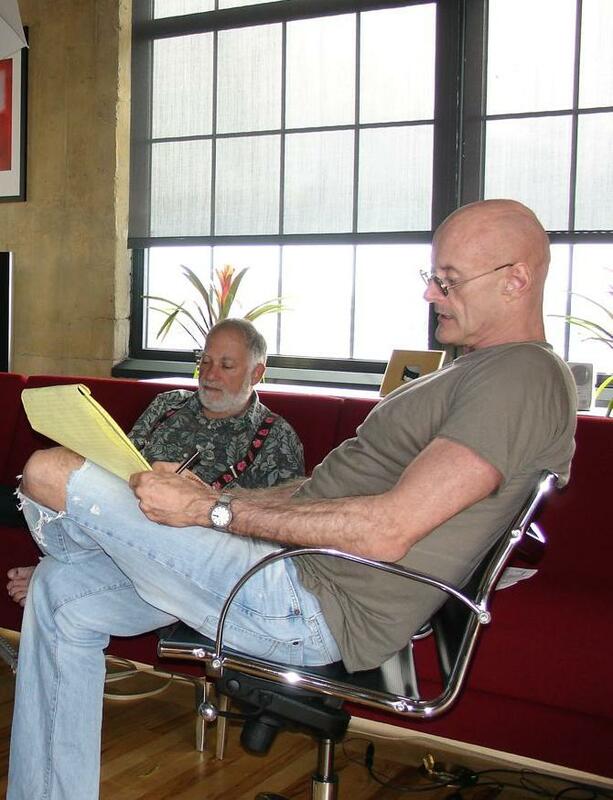 He uses it to speed up the defeat of essentialist and Platonic ideas in biology, and to support engagement with environmental issues, with its visions of interconnectedness and non-violence. Evolution confirms a kinship between humans and animals, hence a sense of solidarity with other forms of life, and a valuing of the natural world around us. Evolution and Buddhism also similarly agree that human beings are not special, indeed none of us as an individual ego is special either. In return, Barash is happy to contribute a conventional critique of Buddhism from a materialist scientific standpoint. What other fruit could the dialogue yield? What interests me most is the mind as an evolved phenomenon. From a human point of view, which is the only viewpoint we have access to, the degree and scope of our awareness is unparalleled in the natural world. Somehow we have come to the ability to reflect on our own experience, sometimes holding the stream of our consciousness in the illumination of mindful awareness. And we can enhance our level of consciousness through working on the mind with the mind. Perhaps as a consequence of this reflexivity, we seem largely trapped in a sense of separation from the world, a subjective me peering out at its hostile or alluring surroundings, always other. The teaching of pratitya samutpada states that this consciousness is dependently arisen, i.e. we can come to comprehend the evolutionary processes which gave rise to human consciousness, and thus understand our own minds better. I feel that this understanding will not be well served by insisting on a materialist standpoint, as Barash and most scientists of standing do at present. Materialism seems to me to be primarily the rotting corpse of an old European debate, a debate that concluded first that mind and matter were two entirely distinct substances, and later that matter was the one real substance that made up everything in the universe, so that mind is nothing but patterns of electrical and chemical processes in the brain. The three truths that Barash imports from Buddhism – impermanence, not self, and pratitya samutpada – undermine such strict bifurcations as that between mind and matter. And I would say that honest reflection on experience doesn’t allow one to agree that awareness is illusory. Like the objective world, the subjective or “inside” pole of experience must have arisen through law-governed causal sequences that can be understood. This is true of the whole range of minds found amongst animals, human and nonhuman, as well as this particular fleeting event of awareness that is my present moment. Buddhism wants to find evolutionary explanations (using the term ‘evolution’ in a general sense, not just as Darwinian natural selection). Buddhism has an evolutionary vision, as does biology. Biology is particularly interested in the evolutionary history of consciousness, Buddhism teaches its evolutionary potential, the further development of consciousness through contemplative methods. Once mind or awareness is taken seriously as a genuine (though not substantial) phenomenon, we could consider its importance in the lives of animals as well as humans. It has arisen through evolution by natural selection: did its presence have any effects on the process of evolution? (Recall interdependence.) One possibility is through the Baldwin Effect, whereby innovative behaviours by animals (and behaviours have a mental origin) can propel them into new environmental niches where fresh selection pressures apply. For example, the Galapagos finches which now instinctively use cactus thorns to extract larvae from tree branches could not have started with a mutation for the behaviour – it is far too complex – they must have started with the novel behaviour, then passed it on through learning, until its different components were gradually selected for in the genes. Then there is the last of the three marks, duhkha or suffering. Entrenched views don’t just inhibit scientific progress, they may also inhibit compassion, and even promote antisocial practices in science, from cruelty to animals to environmental destruction and involvement in the technology of warfare. I think that an acceptable ethical framework, to be discussed and adopted by scientific communities, has its most likely origin in Buddhist ethics, a natural ethics based in intention and the consequences of behaviour rather than in scriptural commandments. Currently, scientists tend to govern their work with one eye on the law and the other on public opinion, but with little genuinely humanitarian ethical guidance. Barash gives the impression of being an ethical man, and perhaps in a future work he will attempt to apply Buddhist ethics to his science. It may be for others to investigate how a fresh view of mental processes and their role in evolution, stimulated by Buddhism, could open up new avenues of research, as well as more creative ways of interpreting experimental results. More generally, Buddhism suggests a very open and provisional approach to concepts such as the gene, the species, and the individual organism. Constant reminders of impermanence, not self, and pratitya samutpada could release the creativity of scientists when they are entrenched in the “normal science” stage of struggling to fit research results into outdated theories, unwilling to let go of time-honoured biological concepts. I would recommend Buddhist Biology to readers whose main allegiance is with science. It provides a friendly and engaging tourist guide to some of the features of Buddhism. We natives may chuckle at the guide’s simplifications and inaccuracies, but he points out impermanence, not self and interconnectedness; he shows how they apply to the biological sciences; and so he gives an authentic impression of Buddhism that may lead some of his readers to investigate it more thoroughly elsewhere, and to explore its practices in their own lives. 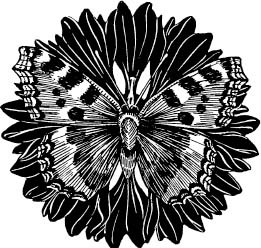 Stephen Jay Gould, “Nonoverlapping Magisteria,” Natural History 106 (March 1997): 16-22. D Papineau, “Social learning and the Baldwin effect” In A. Zilhão (ed. ), Cognition, Evolution, and Rationality. (Routledge, 2005). Also see Erika Crispo, “The Baldwin Effect and Genetic Assimilation” in Evolution 61-11: 2469–2479 (2007). Posted in Buddhism, Buddhism and Science, Reviews and tagged anatman, Biology, buddhism, David Barash, ecological niche, evolution, interdependence, materialism, mind, Natural selection, science, Sutra on December 30, 2014 by Ratnaprabha. Review by Ratnaprabha of The Vimalakirti Sutra, translated by Burton Watson (Columbia University Press, New York, 1997). Towards the end of this great Buddhist classic, the Buddha remarks that ‘those who love varied phrases and literary embellishments … are beginners in the bodhisattva way’. However, highly experienced bodhisattvas are ‘not afraid of deeper principles, and [are] able to enter into the true meaning.’ The Vimalakirti Sutra is a repository of deep principles: its spiritual teaching catapults one way beyond familiar ground. Paradoxically (paradox is one of its methods) it also fascinates as literature. Descriptions of fantastic spectacle, verbal contests, and even slapstick humour, all revolve around Vimalakirti. Vimalakirti is an enlightened bodhisattva, devoted to establishing people on the Buddha way. This he does imperceptibly, irresistibly, because he adapts so well into their various ordinary lives. He can use anything as an ‘expedient means’ towards the benefit and enlightenment of others. As a demonstration of the unsatisfactoriness of a life that identifies with this fragile body, Vimalakirti falls ill. The Buddha asks his disciples to visit the sick bodhisattva, but one by one they refuse, recounting how Vimalakirti had exposed the limitations of their approaches to Buddhism. All-wise Manjushri is the only worthy opponent to agree to go, and Vimalakirti magically transforms his sickroom to accommodate the crowds who come to hear a breathtaking series of profound exchanges, forming the central portion of the Sutra. The comically bewildered monk Shariputra, representing a limited, self-centred view of Buddhist practice, stimulates Vimalakirti’s magical displays, all of which demonstrate the richness of an unlimited perspective. When Shariputra wonders where everyone is going to sit (‘did you come here for the sake of the Law, or are you just looking for a place to sit?’, Vimalakirti asks), Vimalakirti imports millions of vast thrones, and somehow fits them all into the room. Later, an enlightened goddess sprinkles Shariputra with flowers, not allowed to monks, yet he cannot brush them off. He is so impressed by her deep explanations that he asks her why she doesn’t become male (Buddhas being traditionally thought of as always male). In reply, she swaps gender with him, and then swaps back, to demonstrate that ‘all phenomena are neither male nor female’. Later still, Shariputra’s mind wanders again, this time to thoughts of lunch, and Vimalakirti sends a phantom bodhisattva to a pure land in a distant galaxy to fetch fragrant ambrosia for all. Vimalakirti’s profound teachings bear the same message as his jokes and spectacular displays. Let go of restrictive viewpoints, he says, and the splendour of non-dual reality will simply become apparent in the here and now. Every emotion, every action, potentially displays the truth. Letting go into a true vision opens innumerable doors that enable one to help others in their turn to let go into truth, so that they will see every frustration, every grief evaporate. Like the Buddha, Vimalakirti teaches the altruistic bodhisattva ideal. He also universalises the goal of Buddhism: he displaces any thoughts of a personal escape into the relief of ‘Nirvana’ by demonstrating how the actual world one lives in can become, for everybody, a pure Buddha land, perfumed with bliss, vibrant with ultimate significance. However, you will look in vain for detailed blueprints for ‘purifying the Buddha field’, even for instructions in living one’s daily life or in practising meditation. Instead, the Sutra seeks to stretch the mind with its refutations of plodding thought processes based on the rearrangement of labels, until, perhaps, the mind gives up, and yields to ’empty’ reality unmediated by labels. Then it swoops down from a different angle, and uncloses the sense of wonder with brilliant son-et-lumiére. As I go back again and again to the Vimalakirti Sutra, I might realise one day that ‘how things are’ is inconceivable and unimaginable simply because thinking is not everything, envisaging is not everything. ‘How things are’ is everything, and that can be appreciated only with one’s every faculty attending completely, right now. Burton Watson’s new translation uses the Chinese version by Kumarajiva, who was renowned as Buddhism’s greatest translator because his own realisation was so deep, and because his style was so fluent. It may be that Watson saw the Vimalakirti Sutra as an inevitable addition to his acclaimed series of translations of Chinese classics: it does not seem to me to be superior to the one we already have, by Charles Luk. (The jacket notes are incorrect to claim that Watson’s is the ‘first ever translation’.) I really have to warn you of some of his odd renderings. 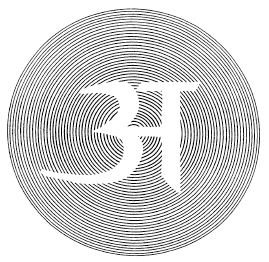 Maitri (loving kindness) becomes ‘pity’, and is sometimes confused with compassion; upeksha (equanimity) is ‘indifference’; dana (generosity) is ‘almsgiving’; Mara is christianised into ‘the devil’, and Watson also chooses the biblical resonance of ‘the Law’ for the Dharma (truth and teaching). The most reliable version in English, apart from the incredibly thorough scholarly text by Lamotte, is Robert Thurman’s from the Tibetan (Pennsylvania State University Press, 1976), which also scores for its elegance and vividness. But there is something to be said for taking advantage of the filter of Kumarajiva’s mind. 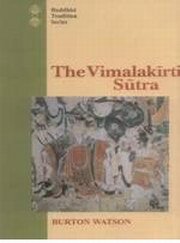 Like many texts of Indian Mahayana Buddhism, the Vimalakirti Sutra overflows with extended series of stock Buddhist lists, as well as the baffling intellectual subtleties of analysis and negation. Kumarajiva softens these, sometimes by shortening passages, sometimes with simpler, more direct glimpses of the Dharma. Posted in Reviews, Translations and tagged bodhisattva, Burton Watson, Chinese, Kumarajiva, Mahayana, Manjushri, review, Sariputra, Skilful Means, Sutra, translation, Vimalakirti on December 11, 2014 by Ratnaprabha.